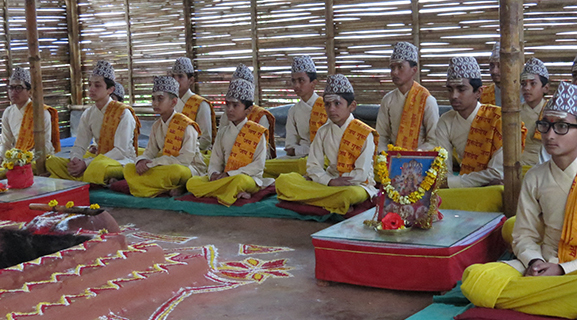 Throughout the year, daily Ati-Rudrabhishek – a peace Yagya by 1331 Pandits – was achieved by synchronizing the local performances of the 80 Gurukuls (Pandit schools) of the Maharishi Foundation for Vedic Culture in Nepal. 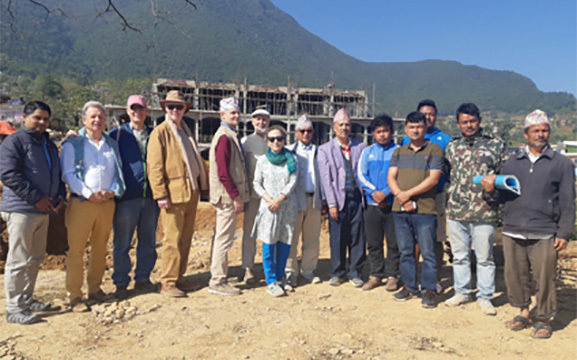 Thanks to the initiative and generous support from international donors, construction was started of a large-scale Vastu development, which will also be available to the Maharishi Foundation for Vedic Culture in Nepal. The property is located in a wonderful, quiet location above Kathmandu, with stunning views of the Himalayas. The entire project, with a floor space of more than 7,000 square meters, is planned to be complete by the end of 2019. 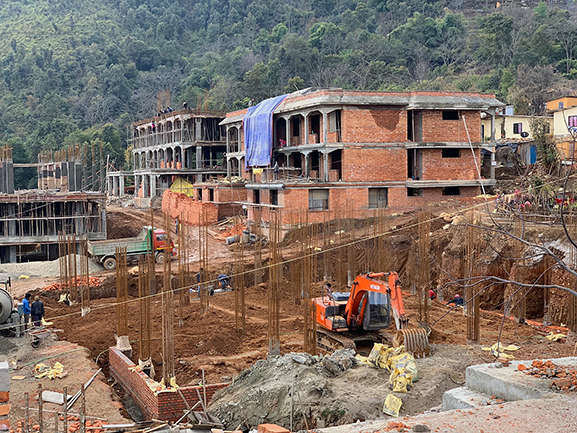 There will be four dormitories for 360 Vedic Pandits, a course building housing 70 for initial and advanced training of Acharyas (pandit instructors) for all Nepal, and 18 Yagya Shalas of various sizes for the performance of Yagyas. 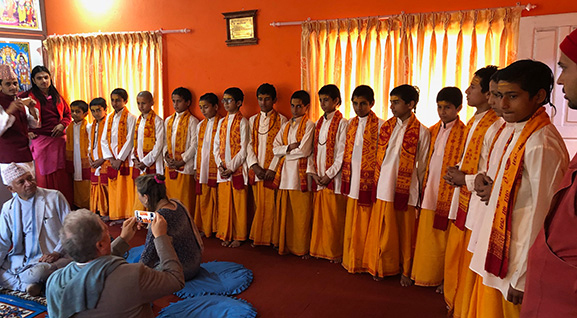 During his second trip to Nepal this year, Lothar Pirc spent two weeks, from late October to early November, visiting pandit schools in and around Pokhara. 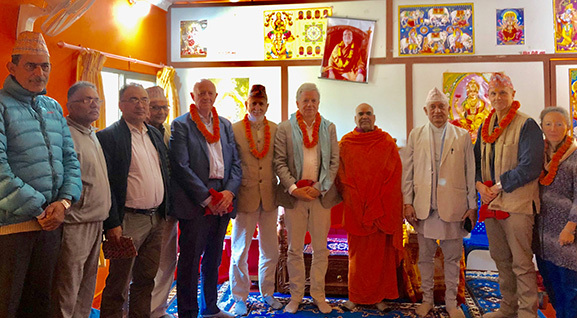 He was very impressed by how well the Pandit project of the Nepal Maharishi Foundation for Vedic Culture has developed in such a short period of time. 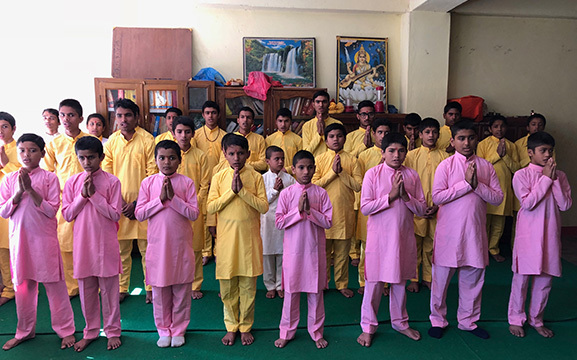 The young Pandit students really enjoy their training in authentic Vedic recitation and the practice of Vedic technologies of consciousness, successfully combining Yoga and Yagya. A few years ago, when it all started with a small group of Pandits, nobody could have imagined this huge expansion and outstanding quality. 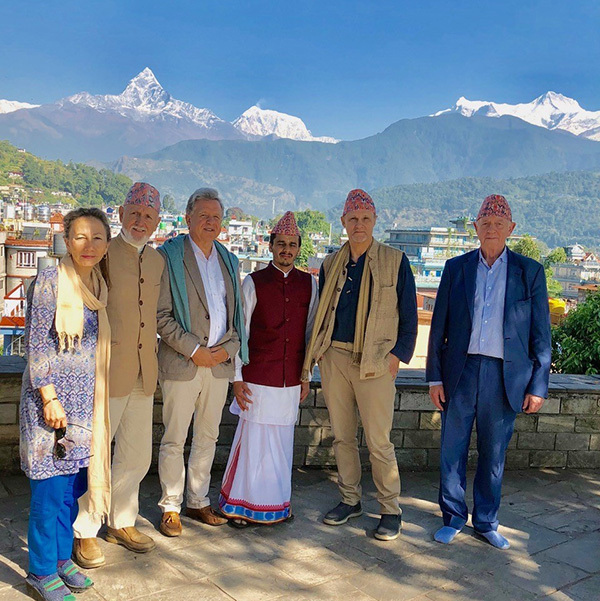 This has been made possible thanks to the generous support from all well-wishers and the tireless efforts of the entire team in Nepal, especially Deepak Baskota, Chairman of the Nepal Maharishi Foundation for Vedic Culture, and Kingsley and Leslie Brooks. 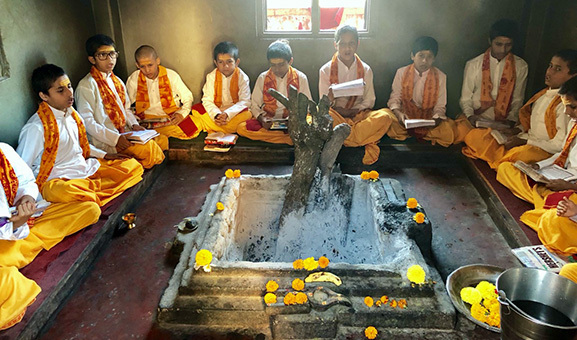 The following pictures show the various pandit schools in and around Pokhara that Lothar Pirc visited in autumn 2018. During his stay in Nepal, Lothar Pirc also visited the construction site above Kathmandu.